Celebrating 40 Years of the Buick Regal! 2013 marks the 40th anniversary of one of the most popular and strongest vehicles in the Buick family: the Buick Regal mid-size sedan! Now in its 5th generation of production, the Regal originally debuted in 1973 as the Century Regal, a sporty mid-size luxury car with a swooping exterior and a fuel-efficient V-6 engine that drove like a V-8. The car revitalized the Buick line, leading the automaker to break its all-time sales record set in 1955. Bradshaw celebrates 40 years of the Buick Regal mid size-luxury sedan. 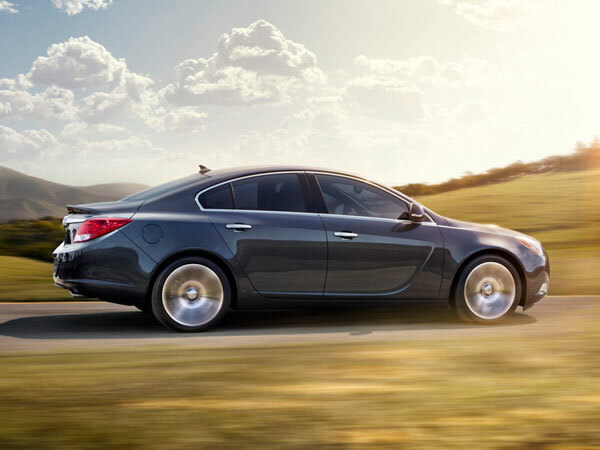 Today, the 2014 Buick Regal has dropped the Century name but still maintains top performance (2-liter turbocharged engine generating 259 hp), great fuel efficiency and swooping design that made the luxury mid-size sedan so popular 40 years ago. Don’t be fooled, though; the Regal has updated considerably for the times, offering great safety and comfort features like Forward Collision Alert, Lane Departure Warning and IntelliLink in-vehicle connectivity to help ensure the best ride possible. For more information on the Buick Regal’s four-decade history, visit General Motors online. Bradshaw Chevrolet Buick GMC Cadillac celebrates the incredible 40-year history of the Regal, and welcomes interested drivers to visit our Greer, SC dealership to test drive an all new 2014 Buick Regal. In our 25 years as a Buick dealership, Bradshaw’s sales staff has become very familiar with the Regal and other great Buick cars – we can help you find the car that best suits your needs! To learn more about Bradshaw, you can visit our website or check us out on Facebook! There appears to be a misconception that American muscle is dead, and that automakers in the States can’t keep up with foreign sports cars. Well, the 2014 Camaro Z/28 put those ideas to rest as it posted a track time of 7:37.40 at Germany’s famed Nürburgring road course. 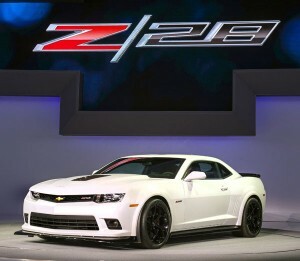 The 2014 Chevrolet Camaro Z/28 recently clocked in an impressive race time. Murcielago LP640. What makes that time even more impressive is the fact that the run was conducted on less than ideal track conditions, in which the course was damp and the run was concluded in a downpour. To learn more about the 2014 Camaro Z/28, visit us today at Bradshaw Chevrolet Buick GMC Cadillac! When you think of top-of-the-line luxury SUVs, what is the first vehicle that pops into your mind? 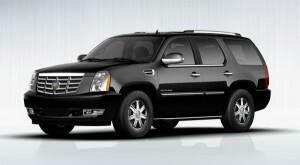 If you thought of the Cadillac Escalade (and we know you did! ), we’ve got good news for you: the 2014 Escalade is available now from Bradshaw Chevrolet Buick GMC Cadillac of Greer, SC! The 2014 Cadillac Escalade is available now from Bradshaw Automotive in Greer, SC! The widely popular Cadillac Escalade luxury SUV is back in 2014 with a long list of convenience innovations and safety technologies, including a rear view backup camera, tri-zone climate control and heated and cooled seats. The Escalade doesn’t skimp at all under the hood, either: with a 6.2 liter V8 engine that produces 403 hp and can accelerate from 0 to 60 in under 7 seconds, the new Escalade is sure to get you from A to B comfortable and efficiently. For a full list of specs, available safety features and performance notes for the 2014 Cadillac Escalade, visit Cadillac’s website. Bradshaw Chevrolet Buick GMC Cadillac of Upstate South Carolina is proud to announce the release of the all-new 2014 Escalade! The luxury SUV will join our inventory of great new 2014 GM cars like the Chevrolet Silverado and Buick Enclave. You can stop by our website for more information, or follow Bradshaw Automotive on Twitter to stay up on GM cars and dealership news! 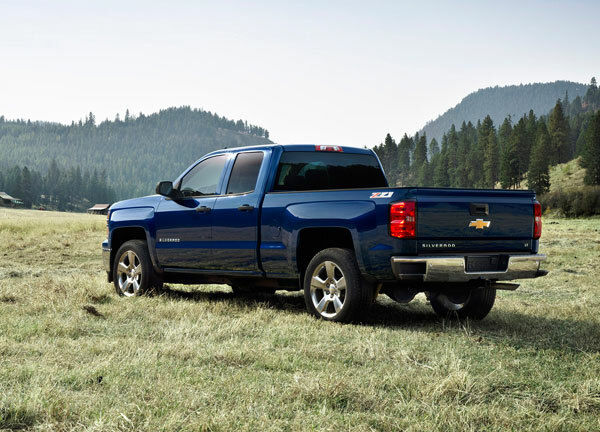 Bradshaw Chevrolet Buick GMC Cadillac is proud to offer the 2014 Chevrolet Silverado and GMC Sierra pickup trucks as part of our wide selection of new General Motors vehicles currently available at our Upstate South Carolina car dealership! The 2014 Chevrolet Silverado is now available from Bradshaw Automotive. This year, the Sierra and Silverado both receive considerable updates, including redefined interiors with more passenger space, striking new exterior designs and a host of new convenience features. Each truck is available in standard 1500 or heavy duty 2500 and 3500 trim levels, and both utilize EcoTec engine technology to offer the best fuel economy of any full-size pickup truck. 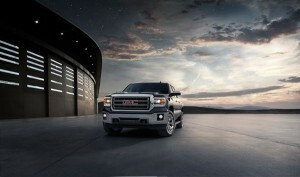 The 2014 GMC Sierra is available from Bradshaw Automotive of Greer, SC. and Silverado offer subtle differences that tailor them to their potential drivers: the Silverado is great for agricultural or outdoor use, while the Sierra functions best in an industrial setting. Bradshaw Chevrolet Buick GMC Cadillac is excited to offer the all-new Silverado and Sierra pickup trucks, and welcomes customers to visit our Greer, SC dealership for a test drive or purchase. You can also visit us online or contact our sales department at (866) 419-9345 for information on other great new GM cars like the 2014 Chevrolet Impala and Buick Enclave. For more new vehicle updates and GM news, be sure to follow Bradshaw Chevrolet Buick GMC Cadillac on Twitter!